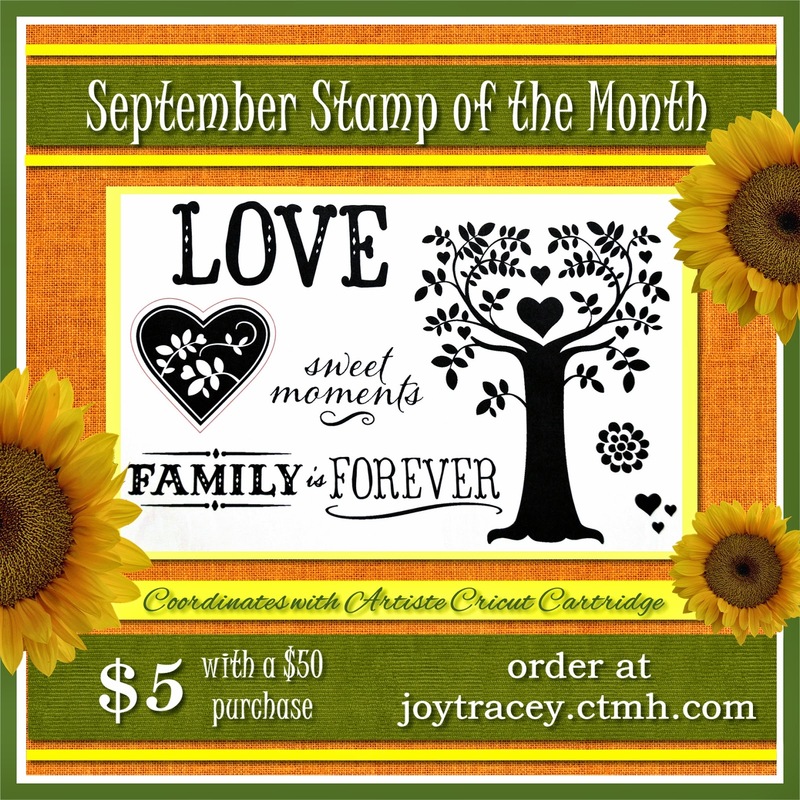 Today's fast card uses this month's Close to My Heart Stamp of the Month (see below) and the Close to My Heart Artiste Cricut cartridge and took just 5 minutes to make! 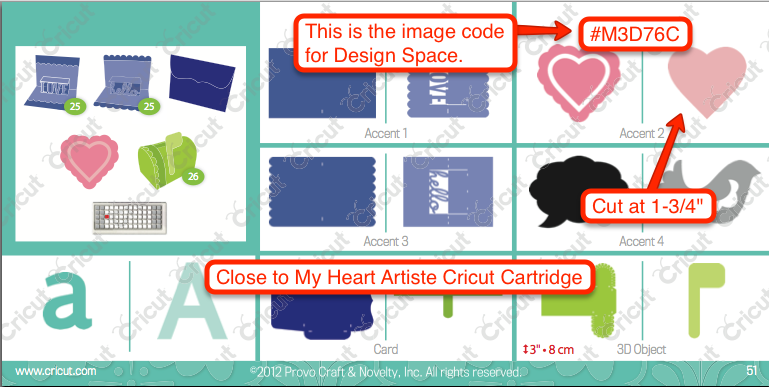 I used the Close to My Heart Artiste Cricut Cartridge to cut the heart in white at 1-3/4". I put the code in there for the Cricut Design Space Users - you would enter that code (including the #) into the search box. Then ungroup the images and delete the top layer. Then size it at 1-3/4". 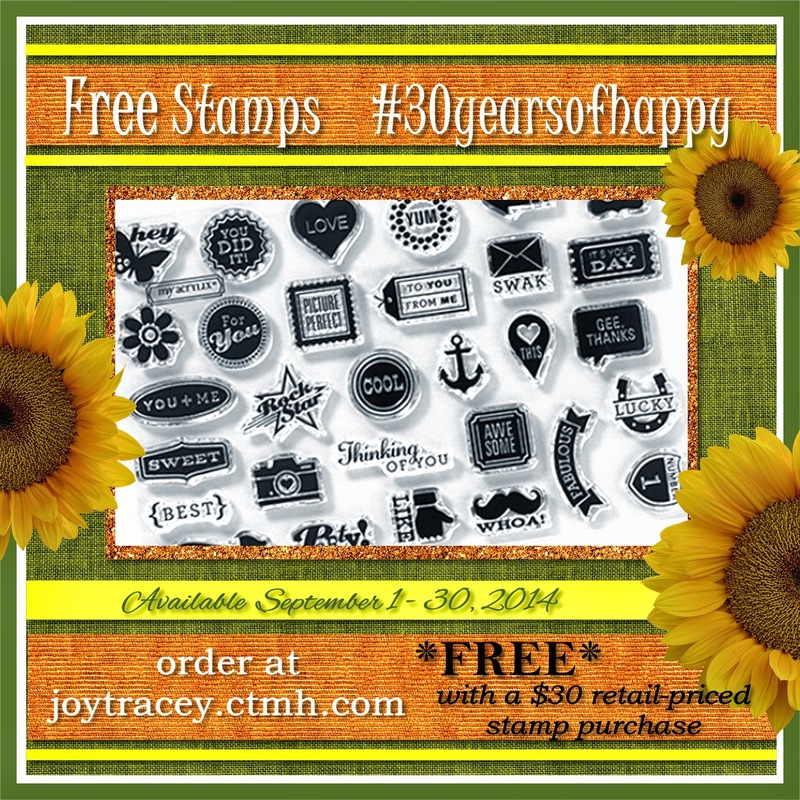 Leaf strip: 3/4" x 4-1/4"
First is the stamp of the month, which is just $5 with a $50+ purchase! 1) Leave a comment below - Do you make Halloween decorations? Nope-no Halloween decorations. When my kids were little I was lucky to have their costumes ready on time! Feel better! Hope you feel better soon. No decorations for Halloween for us. My kids are grown with kids of their own. However, I will be sending out a few cards this year. Thanks for sharing your time, talents, and ideas with us. Good Morning and I'm so sorry you are not feeling well, hope you are feeling better very soon! 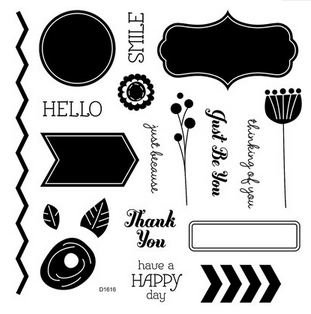 Love your card, love the clean yet stunning look! Thank you for taking the time to post even when you are under the weather! Oops! I forgot, yes I do make Halloween decorations! I love decorating for Halloween and have a hard time waiting until October to get started! Some of my decorations are home made. Cute card, just may give it a try soon, tfs....feel better soon! Beautiful card! I hope you are feeling better soon. So sorry to hear you have the flu! Hope it is very short-lived. Super card today. This is the first Halloween with a Cricut so I haven't done that yet. But I have seen a few things I would like to try. I would love to own Chalkboard Fonts. 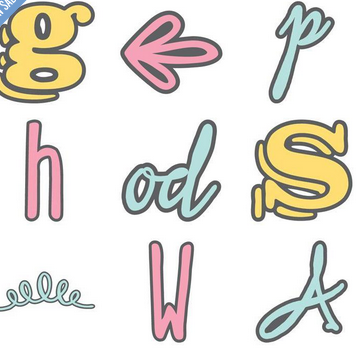 My daughter is a special ed teacher and wants me to cut out words for her word wall, this font would work great! I send out many Halloween cards every year. The cricut cartridge "Paper Doll Dress Up" has great Halloween images to use for card making. 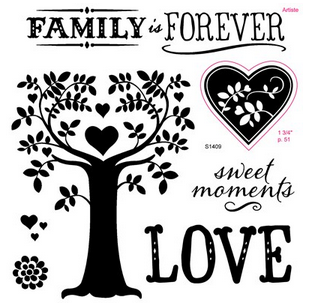 I would love to win the chalkboard font cartridge and add it to my collection!!!!!!! Very pretty card! Sorry to hear you have the flu. Sure hope you're feeling much better soon! I've made a few Halloween decorations but it isn't something I do every year. Hope you feel better! The flu is the worst, especially when the weather is finally becoming bareable! I don't make Halloween decorations (no kids, and no kids in my neighborhood). Pretty color combo and design. No I don't make Halloween decorations. Working on a sucker holder for my daughter and daughter in law. Feel better SOON!! No, we don't do Halloween. 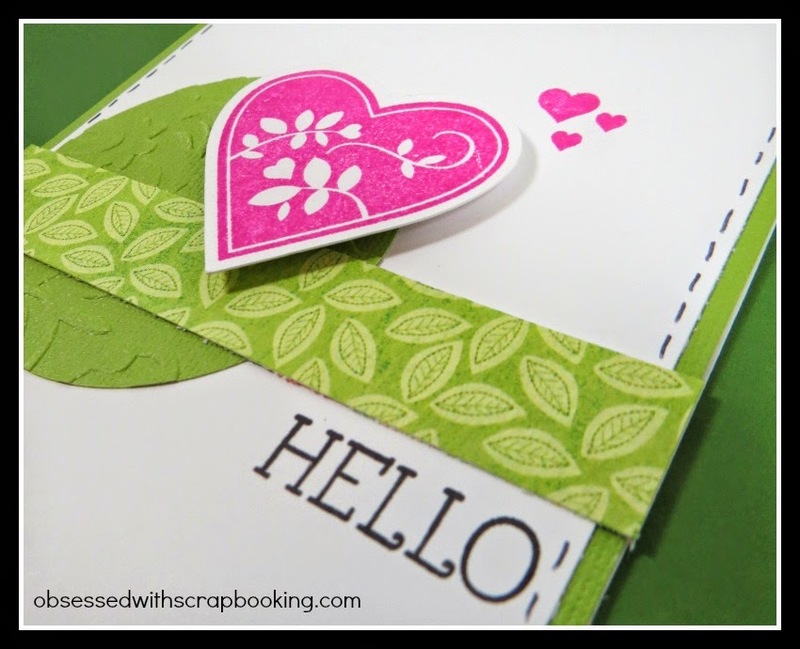 Beautiful pink and green card! Thanks for posting it even when you are down with the flu! No, I don't make very much for Halloween. love the card - I love CTMH cartridges! Nice card. I don't make many Halloween decorations. Super cute simple card... Yes I do make some Halloween decorations each year... This year I am making a 3-d haunted house. Cang natural smile, Ugg Bailey Button Sale walked from flowers body side, that moment, among the flowers pair of beautiful eyes is guilty, is tangled, is sorry that pain. Then the words of Bailey Button ugg Boots Uk the heart can not hurt. If not, Bailey Button Uggs Sale do not push it, to be ordinary or. Right sorry Oh, thank you. On the determination of the face can be frozen Bailey Button Ugg Boots Sale pending a hint as thousands of miles of smiles, throat choked spit out the word. Pain, it is a Cheap Bailey Button Ugg Boots Uk pain beyond words, like a knife knife knife in the heart. Flowers senior sister apprentice, no longer Bailey Button Ugg Boots Sale love you, never, never longer reddish Bailey Button ugg Boots Uk eyes did not tear under water.